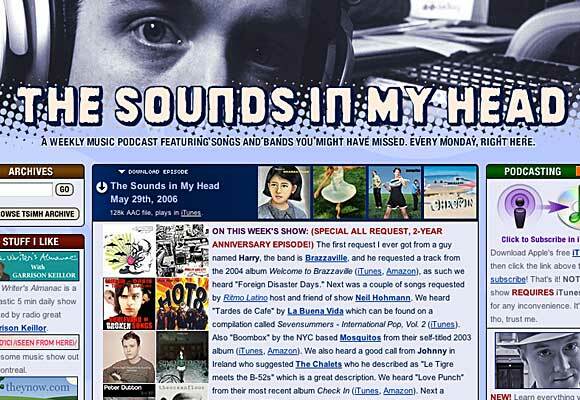 While I will refrain from promoting other sites on this blog, I offer a link of appreciation for all of the effort my friend Daniel has put into his music Podcast, The Sounds in My Head. His musical taste is similar to mine, and his program scores my life with music that I would have to otherwise steal. There are new episodes every Monday, and a back catalogue of over two years.